Oblivious, insecure movie stars... egotistical movie honchos...method acting to the extreme...celebs misbehavin'...cute, cuddly, vicious creatures....rooster illusions. 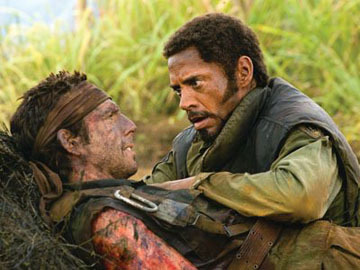 Tropic Thunder helped cement the resurgence of Robert Downey, Jr.'s film career, and featured a terrific turn by Tom Cruise. How well do you know Tropic Thunder?